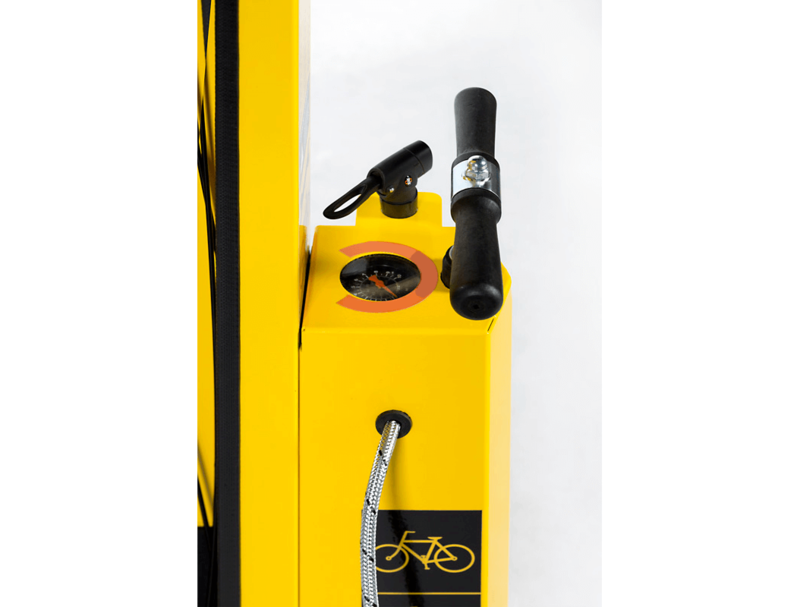 Our public bike repair stand with integrated pump provides cyclists with a stable workstation to tune their bike and make repairs. 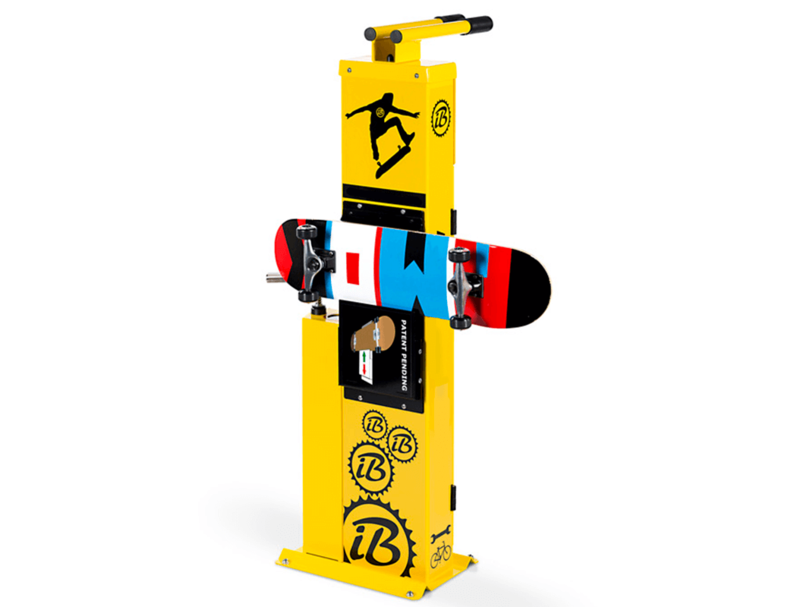 Consider including our wheel chock. Also available as a station with no pump. 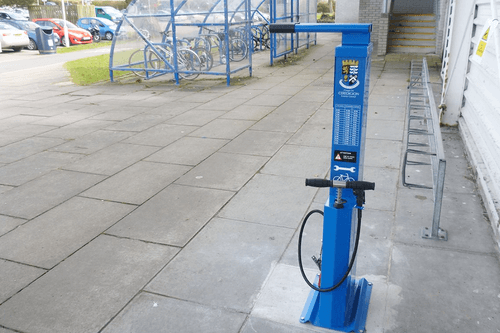 Our outdoor/public bike repair stations with pumps are delivered already built and ready for quick installation. 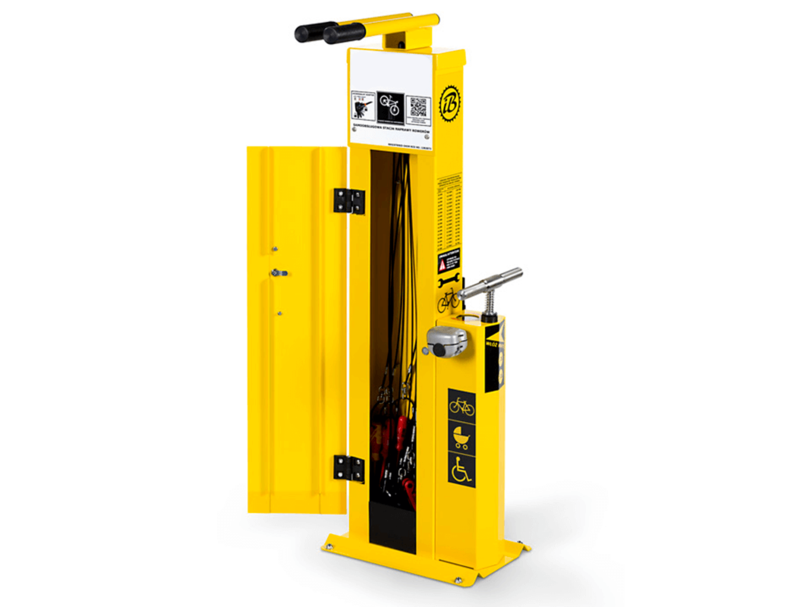 Maintenance stands must be bolted into a secure, flat surface such as a concrete pad or suitable paving slabs. 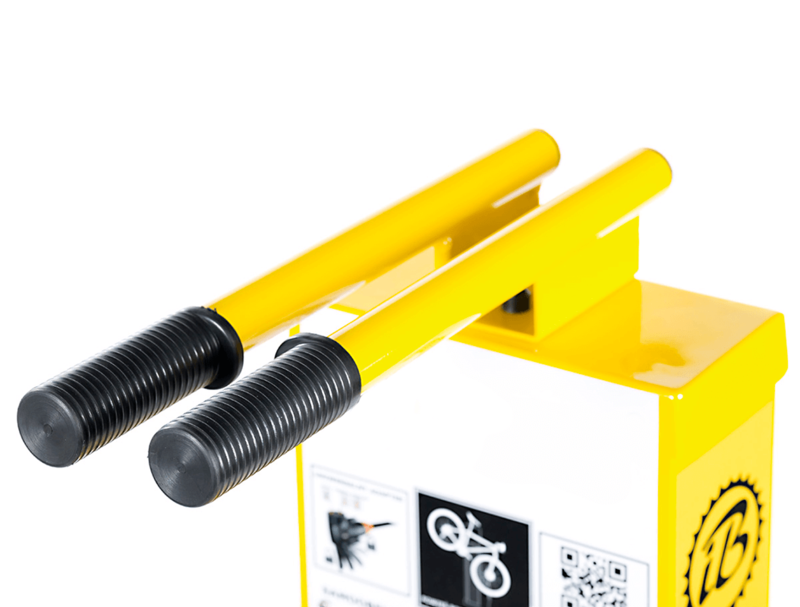 Anti-theft bolts are available to reduce the chances of theft once the bike repair station is installed into an outdoor or public area. We also provide maintenance contracts to manage purchased repair stations. 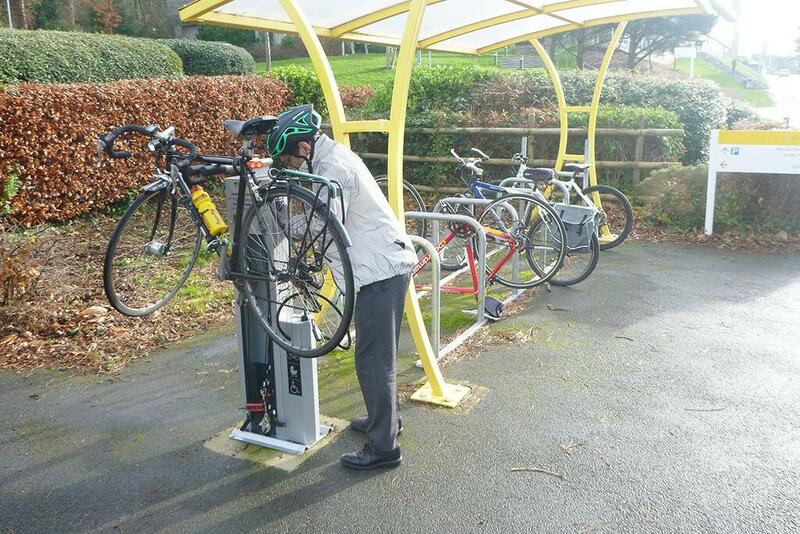 This involves the upkeep of tools and pump to ensure a fully functioning station for cyclists. Bike maintenance stands occupy a small footprint, but it is also important to consider the size of a bicycle hanging on the support forks. 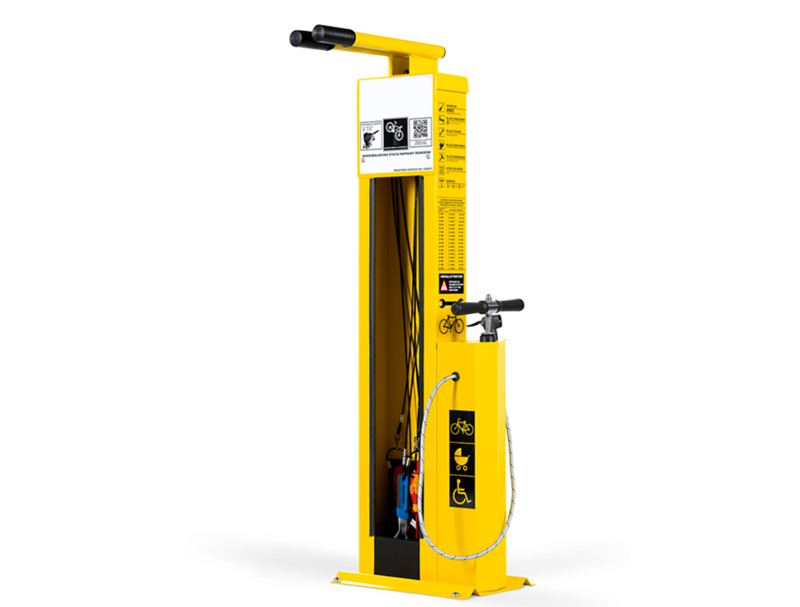 If you have any questions about where to position a bicycle repair station with pump, or the spatial requirements for the unit, contact our team for assistance. 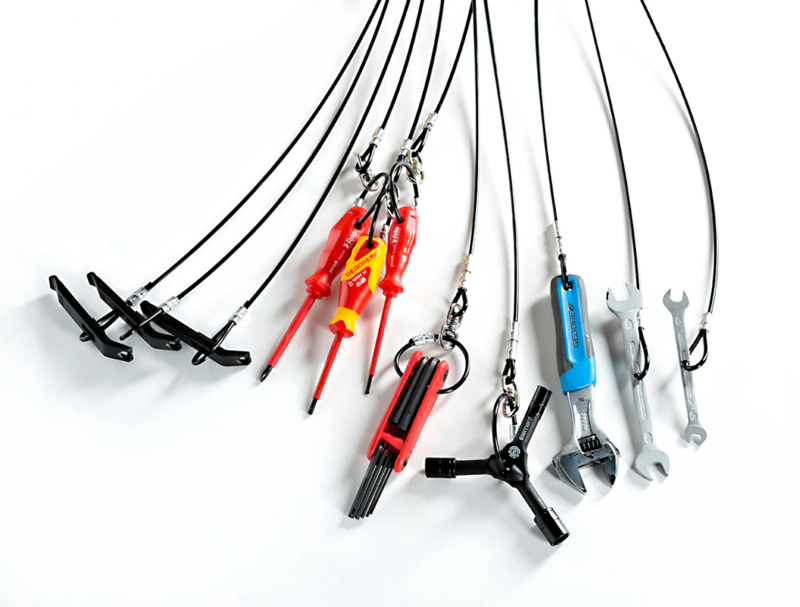 Alongside the standard tools listed above, we are happy to accommodate bespoke requests for additional tools and specialist items within the station. 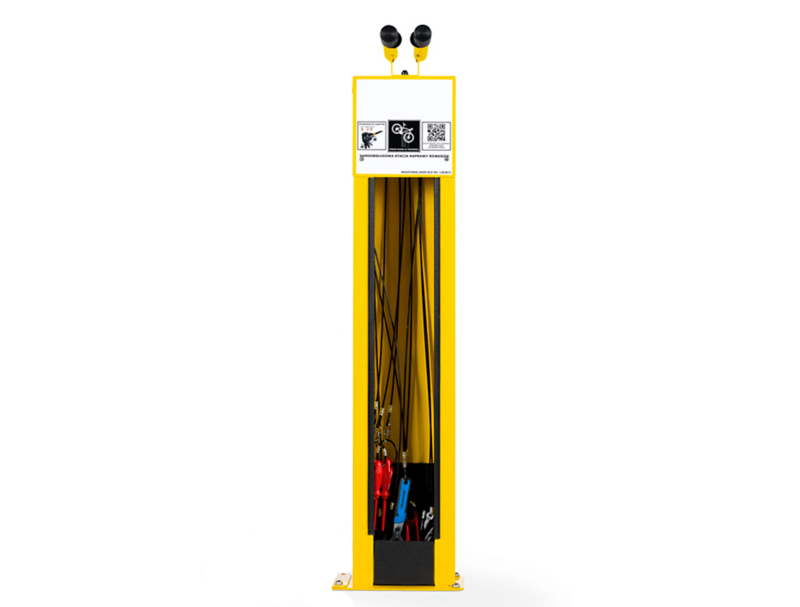 A door to enclose tools when out of use is also available for security and weather protection. 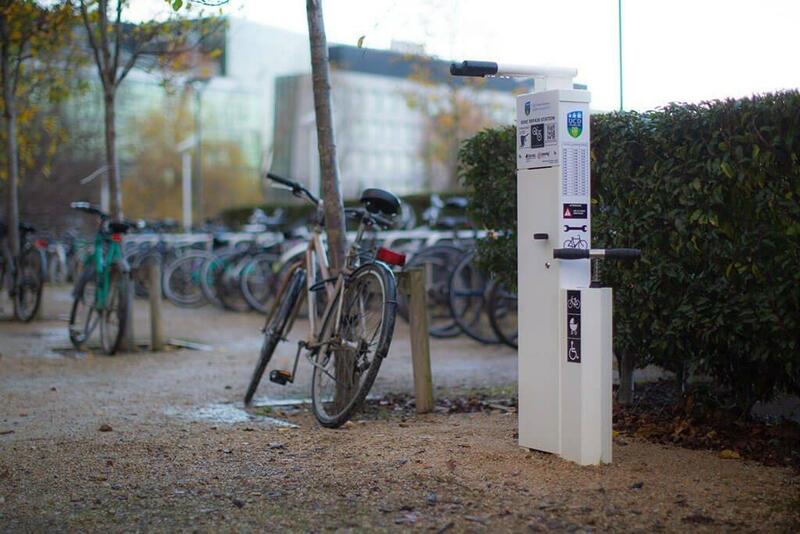 We recommend this addition in public spaces; access can be coin- or key-operated.